Among the teams that are hoping to get a spot in the Europa League (or even the Champions League) at the end of the Serie A season are Atalanta and Lazio. These two meet on Monday evening at Atalanta’s Stadio Atleti Azzurri d’Italia in Bergamo. And if you’ve been looking for Atalanta vs Lazio prediction & betting tips, you’re at the right place! Let’s start by discussing Atalanta and their recent form. With 21 points after 15 rounds of Serie A, Atalanta are at the 7th place. That’s a very respectable position for such a team, but they want more. Their ambitions for this season are to finish among top 6. But, that won’t be easy, considering that many teams have the same plans. One of those is Lazio, a team that currently has 4 points more than Atalanta. Atalanta are determined to get a good result on Monday and there are several reasons for that other than the fact that they need points. First of all, they’re playing at home turf, where they always get a lot of support from their fans. And this time, the roar from the stands is gonna be even louder, considering that Atalanta fans aren’t too crazy about Lazio’s supporters. Furthermore, Atalanta have a pretty decent score with Lazio when the games are played in Bergamo. At least in the last couple of years. For example, they’ve scored in every single home game against Lazio since 2012. Another reason why Atalanta have every right to hope for a good result is that almost all of their players are fit and ready for the Monday’s game. Marco Varnier is the only injured player in the squad, but knowing that this guy still hasn’t even made his debut in Atalanta’s shirt, his absence is not something that should worry them. Unlike Atalanta who are basically injury-free, Lazio do have a couple of players who are struggling with fitness. Sure, most of them aren’t injured per se, but the question is whether they’ll be able to play all 90 minutes. I’m talking about the players like Ciro Immobile and Sergej Milinkovic-Savic, who are among their key players. 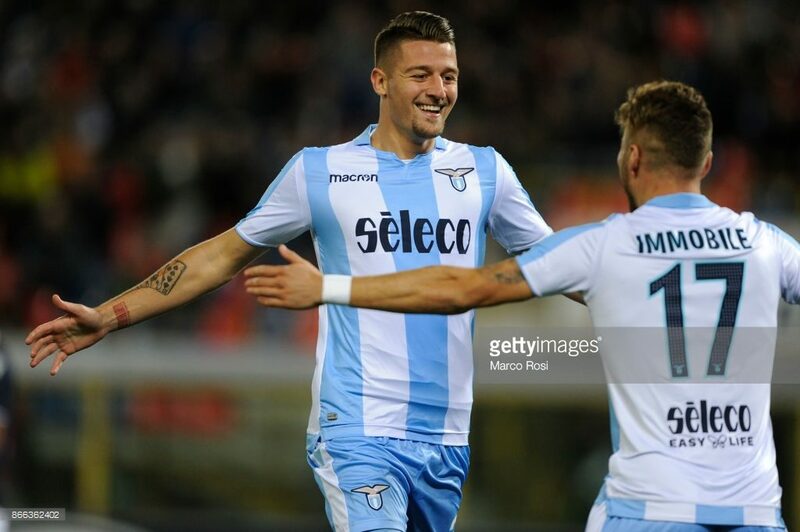 Still, even without these guys, Lazio do have the talent needed to win games like these. Unfortunately for their fans, they haven’t been showing that talent lately. In fact, their recent form in has been dreadful. Lazio have lost 2 and drew 4 previous matches, counting all competitions. The last time they won was more than a month ago, when they beat Marseille in the Europa League. The good news for the team from the Italian capital is that they have a couple of easy games before the end of the year. Actually, the game with Atalanta is probably their biggest challenge before the New Year’s Eve. If they manage to get some points here, things should get smoothly for them from now onwards. But, getting even a single point on Monday evening is going to be a real challenge. This is going to be a very close game and knowing that their previous meeting in Bergamo ended 3:3, I expect we’re going to see lots of goals on both ends.